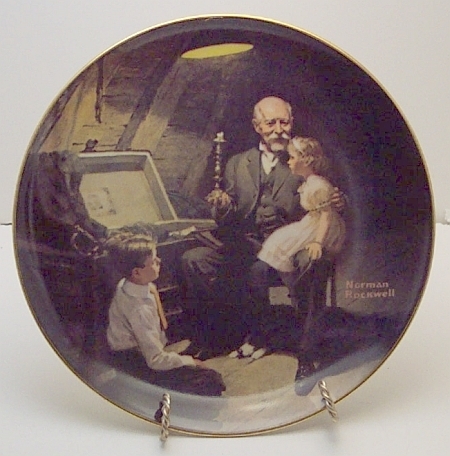 Limited edition Knowles collectible plate titled 'Grandpa's Treasure Chest', 'by Norman Rockwell and second in the Rockwell's Light Campaign Series', measuring 8 1/2 inches in diameter, and in excellent Near Mint condition with original box and certificates. This is a fine example of Rockwell's fantastic art! Click on the picture for additional views. Priority Mail shipping and insurance charge for this item in the U.S. is 10.50.